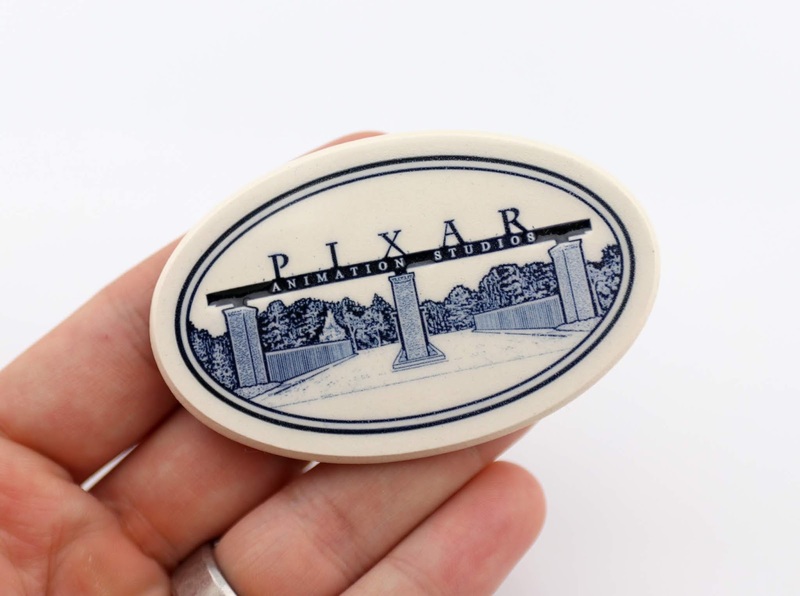 This small 3" ceramic magnet features an illustrated imprint of the famed gates at Pixar Animation Studios in Emeryville, CA! This is an exclusive to the Pixar Studio Store, a small employee gift shop located within Pixar's Steve Jobs building (right when you walk into the main atrium)—not open to the public. A big thanks, once again, to my friend [Disney artist freelance artist] Jerrod Maruyama for picking this up for me during a recent visit of his! I love rare and unique little items like this. It's simple, tasteful and old school (like a magnet my grandparents would have had on their fridge; I say that in the best of ways). I didn't see this during my visit last November, so it may be relatively new there to the store. 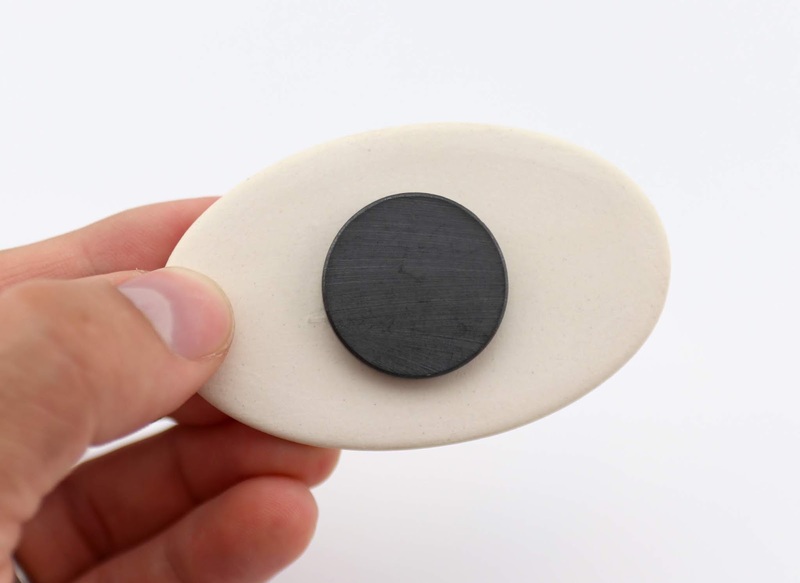 This was such an awesome surprise and yet another thing I was totally unaware of.